Much more than just critical equipment. At ZPMC, it means the supply chain itself. 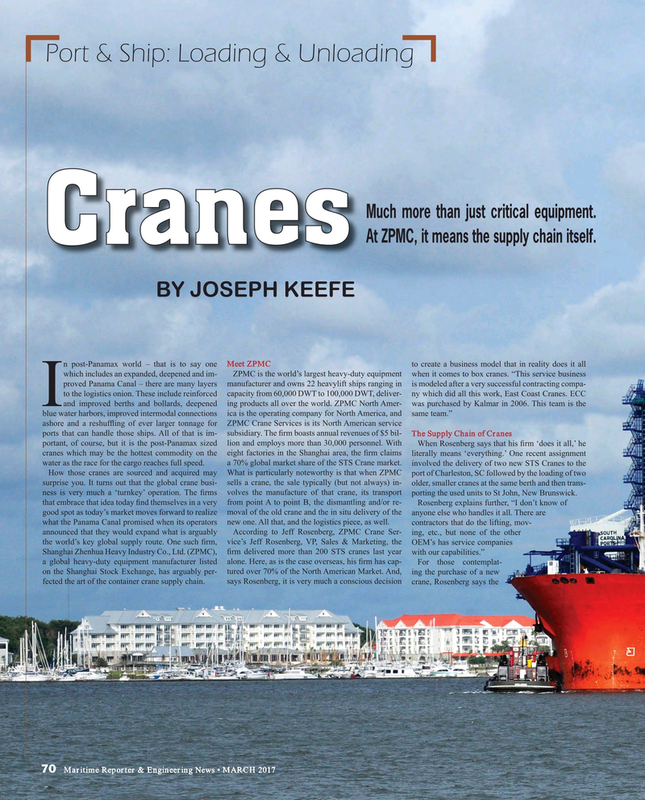 How those cranes are sourced and acquired may What is particularly noteworthy is that when ZPMC port of Charleston, SC followed by the loading of two surprise you. It turns out that the global crane busi- sells a crane, the sale typically (but not always) in- older, smaller cranes at the same berth and then trans- ness is very much a ‘turnkey’ operation. The ? rms volves the manufacture of that crane, its transport porting the used units to St John, New Brunswick.